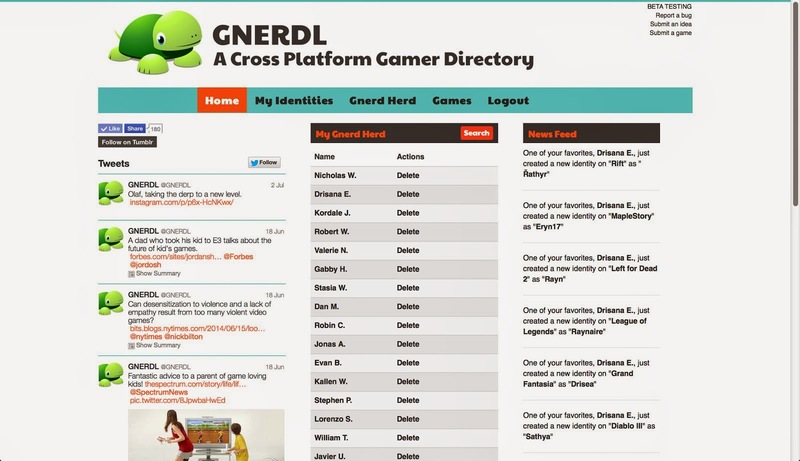 This is a screenshot of the GNERDL dashboard. From here you can search for people, browse people that play a specific game, and look at a another person's profile. In this side by side view you can what your friend's various character names and identities are, making it easy to find them on other games! Thanks everyone who signed up this weekend! We're getting a lot of compliments on the concept of the site, and some great publicity from people sharing tweets and Facebook posts. This stuff is really helpful! We've also gotten fantastic feedback through the reporting system. If you haven't done this already, be sure to look for the reporting links in the upper right-hand corner to let us know what's not working. We also want to know your great ideas for how things could be improved in the future, when we do our next build out of the site. 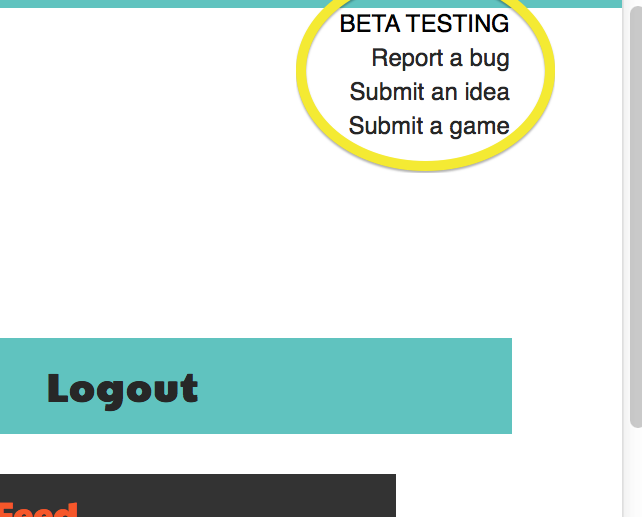 Note, the reporting system can only be accessed if you are logged in. Thanks again for all your support. We'll be updating regularly to let you know how things are going.